PITTSBURGH — March 28, 2019 — Criss Angel has dominated the world of magic for over a decade, but even with his incomparable success, Criss’ passion is to constantly create. He’s bringing his magic revolution to The Event Center at Rivers Casino on Sunday, June 9, at 8 p.m. Tickets are on sale now, and start at $70. 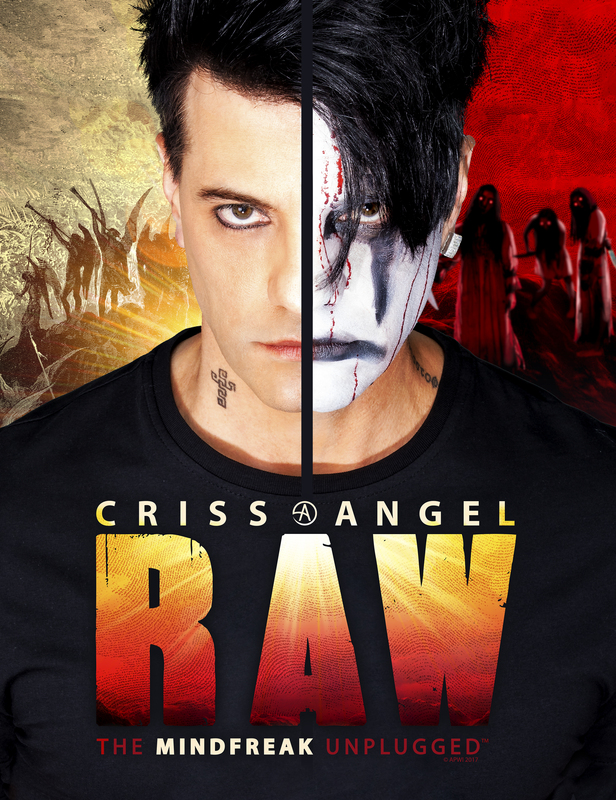 Criss Angel RAW — The Mindfreak Unplugged is a theatrical experience unlike any seen before, featuring Angel’s famous sleight of hand street magic, mentalism, and even some of his most iconic illusions – all performed in an intimate, raw setting. This extraordinary evening of magic features Criss and some of his amazing friends with a stripped-down purity that’s in-your-face and guaranteed to blow your mind. Voted the youngest inductee into the International Magicians Society Hall of Fame and the most-watched illusionist in internet history, Criss Angel is the most influential and imitated magician of the modern era. Via his role as star, creator, executive producer and director of the most successful magic television series of all time, Criss Angel MINDFREAK on A&E Network, Criss has executed this No. 1 best-selling Las Vegas stage show and countless critically acclaimed television specials and series, best-selling books, top-grossing retail products, music CDs, and more. Hailing spectacular reviews from outlets such as Bloomberg Businessweek, which called him “the biggest name in Las Vegas magic,” and the Las Vegas Sun, which raved “The #1 magic show of all time!,” Angel’s magic revolution has single-handedly brought on the art’s resurgence. Tickets for Criss Angel’s show and for all Rivers Casino Pittsburgh performances can be purchased in the Rivers Casino Gift Shop or atRiversCasino.com.